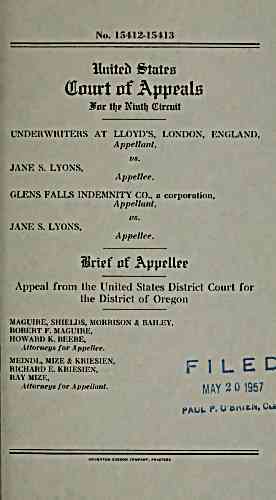 GLENS FALLS INDEMNITY CO., a corporation. Attorneys for Appellant. yY 2 195?